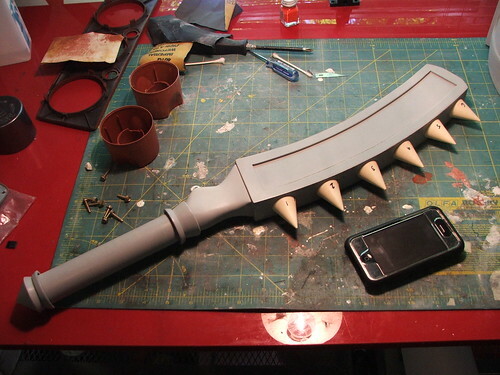 The Kraken Club is a rather imposing club weapon in Final Fantasy XI. They're most noted for their desirability and very high cost in-game. Also, they look damn cool. I started by tracing some in-game screenshots into a vector file and cutting the basic shapes from MDF. 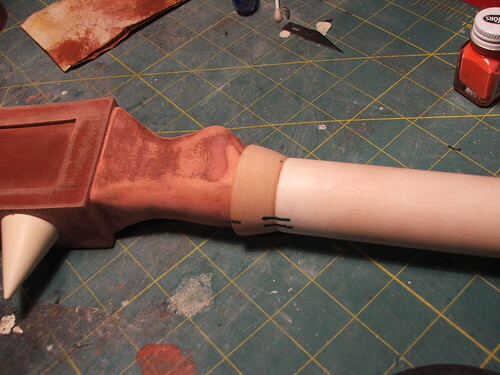 The club head and neck were pieces of 1/2" MDF glued together and shaped on a bandsaw. 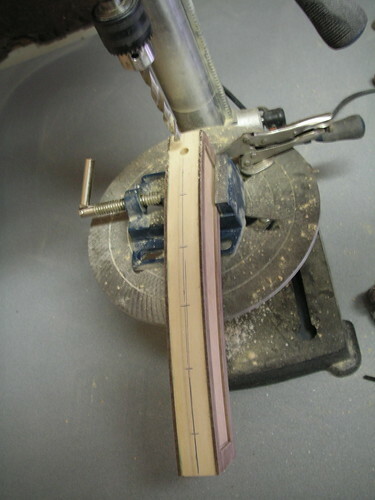 The neckpiece was further shaped using a dremel tool. 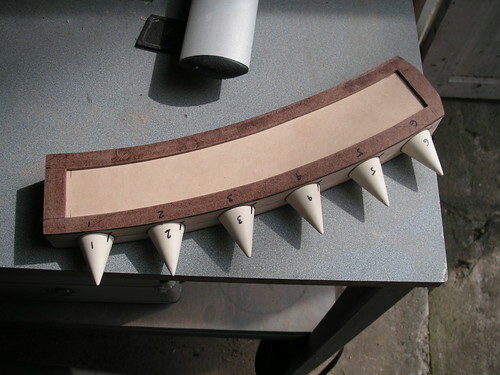 For the spikes, I made a master from MDF and a pine dowel, shaped to a point on a lathe. 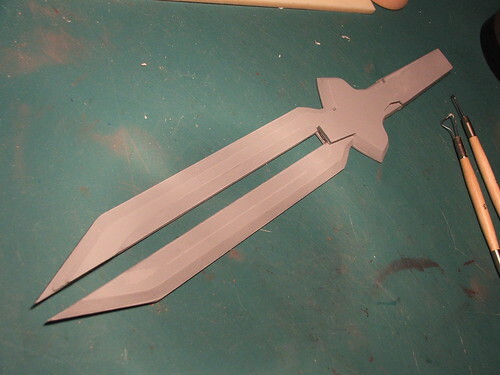 This was molded with RTV silicone so I could cast the 6 copies in resin. The master is the red primer one in this shot. 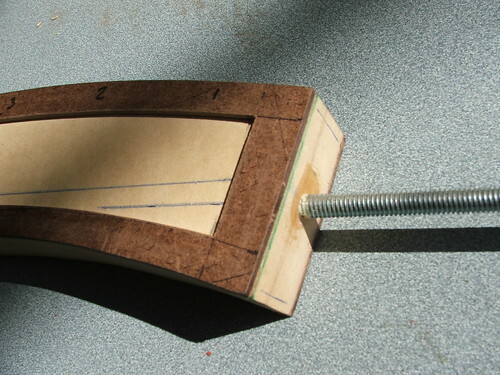 I added the dimensions in the side by cutting out 2 pieces of masonite, which were glued to the club head. 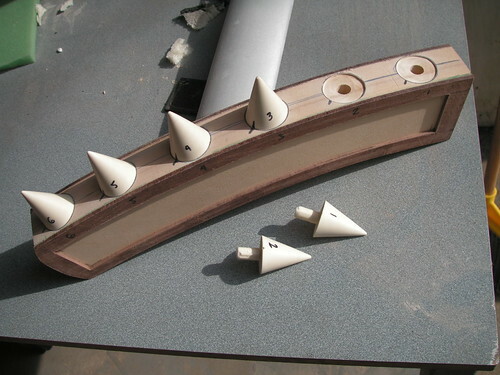 After measuring out the available space, I drilled a series of holes for the spikes to mount to. These were then recessed so that the flat bottoms of the spikes would sit flush with the curves surface of the club face. Each spike was numbered and a hatch mark made on the club head so that alignment would be perfect. Though they are cast reproductions, each one has slight variations which made them fit better on different parts of the club. This is impossible to see in the final product, but made a large difference in assembly. A 3/8" threaded rod was embedded 12" into the club head and secured with gorilla glue to act as the "spine" of the piece. 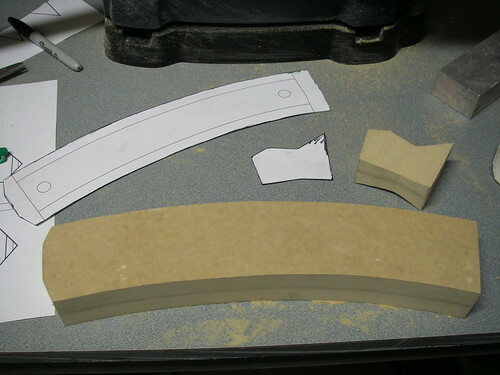 I lathed detail pieces for the neck and pommel from MDF wood and Apoxie Sculpt. 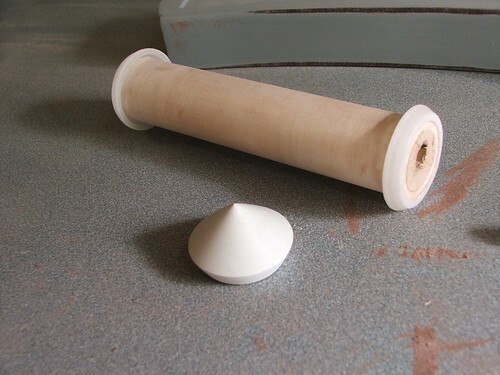 The handle is PVC pipe with a pine dowel inserted in the center for rigidity. All of these pieces were put over the threaded rod and secured with more gorilla glue and a 3/8" nut at the end. 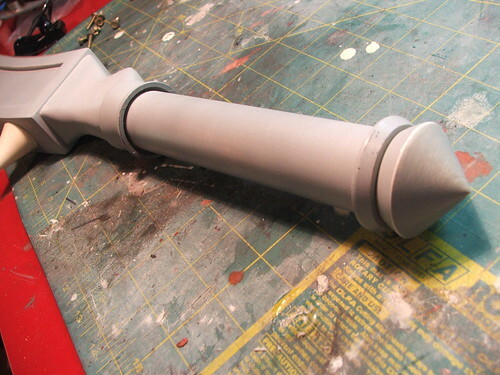 The final assembly before another primer coat and steel wool buffing. iPhone shown for size reference. Since I have plans for making multiples, I decided to mold the entire piece. 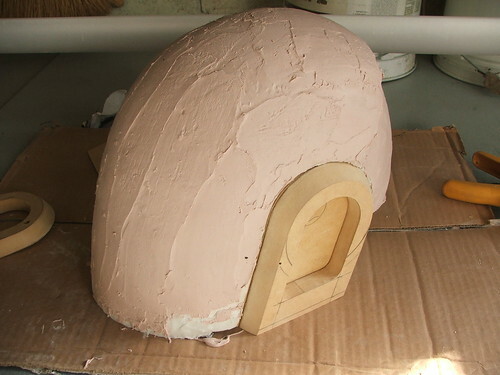 In retrospect, it would have been easier (and a more economical use of resin) to make separate "head" and "pommel" molds and join them together with another steel rod, but this method works just as well. 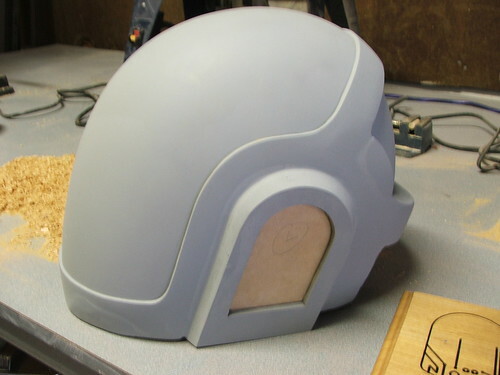 The original was molded in RTV silicone with a Plasti-Paste II outer mother mold. I get all my moldmaking stuff from Smooth-on.com and they have excellent shipping speed and the best prices of anyplace I've found. Duplicates are poured one side at a time to reduce bubbles in the final cast. 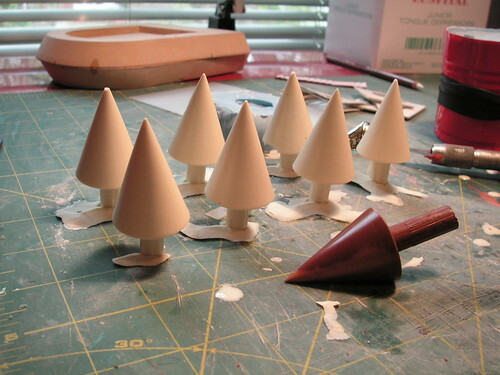 After they've half-cured, the mold is assembled and joined with more resin. A cured piece before being pulled. This mold turned out pretty good with only minor cleanup needed to make the finished resin pieces paintable. The master and 2 duplicates are shown above. The red one in primer has been cleaned up of all flashing and the minor imperfections have been filled with spot putty. 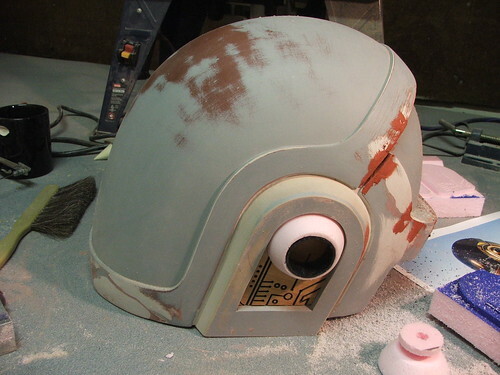 The master was painted with chrome spraypaint, covered in matte clearcoat. This makes for a nice "steel" look. Darker areas were tinted with flat black primer, then the whole piece was weathered with acrylic paints. I found a deep burgundy vinyl that matches the screenshots I've seen perfectly. This was wrapped around the handle and also weathered with acrylic. 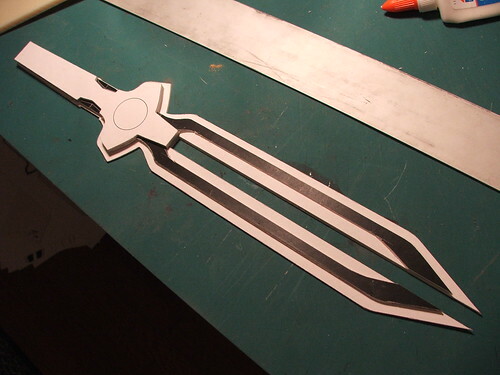 The finished piece is 24.5" long and weighs about 8.5lbs. 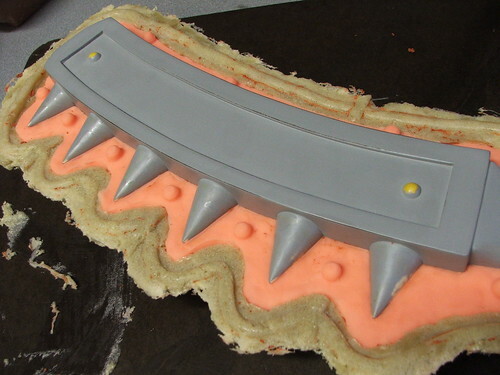 The resin copies are actually a little bit heavier. 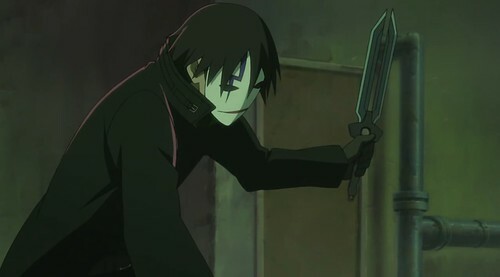 I am making 2 duplicates of Hei's daggers from the anime series Darker than Black. So far there's not a lot of work into this project outside of the base sculpting. Eventually, the piece shown here will be silicon-molded and resin cast to produce 4 halves which will be assembled into 2 complete knives. 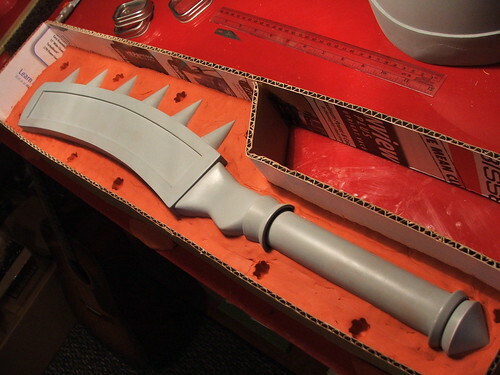 This is a reproduction of a weapon from the online game Final Fantasy XI. 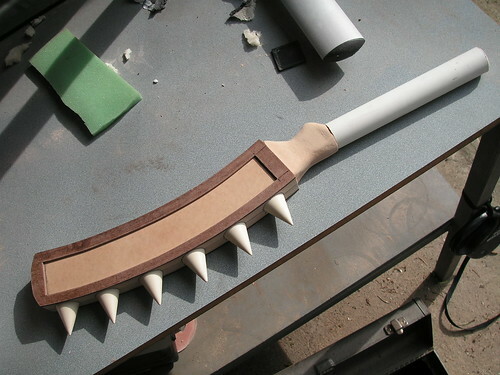 Constructed in MDF wood with resin-cast spikes, this is really more than just a prop - it is an actual freaking weapon... I don't know how you could ever peacebond this to bring to a convention, but it sure is realistic holding an 8lb club in your hand! 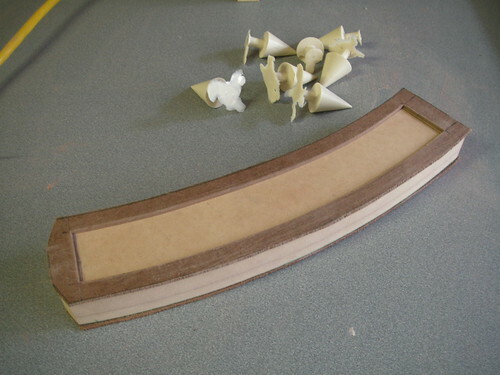 This piece is currently undergoing the molding process so I can make duplicates for reproduction. 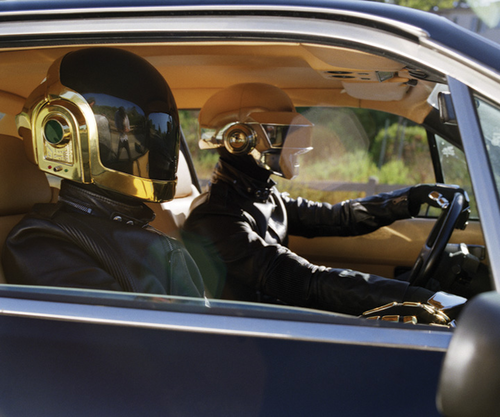 The project which has been consuming all of my time lately is Guy's helmet from the band Daft Punk. 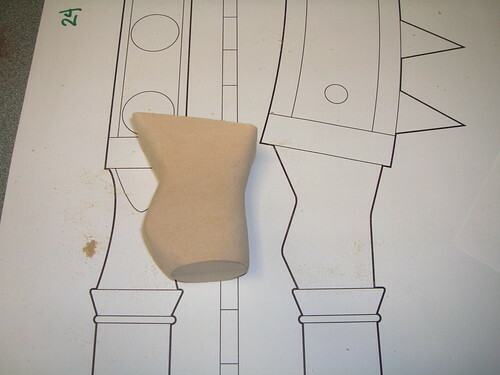 The shots below show the model I'm carving which will eventually be molded and then cast in resin. Much time has been spent getting the details as smooth and accurate as possible. Once the resin casts are pulled, the frames will be sent off for vacuum-metalizing where they will recieve the gold plated finish seen in the shot above. 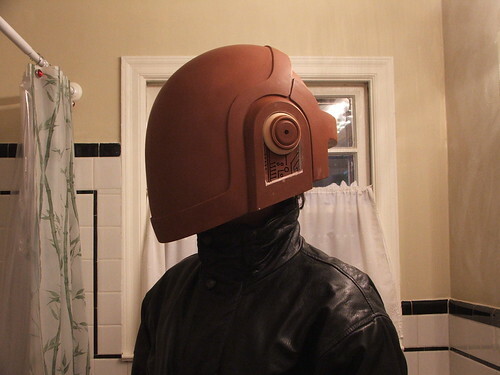 The visor will be vacuum-formed from tinted PETG plastic, and the helmet will feature an Arduino programmable board to illuminate lighting banks in the same way that Daft Punk's helmets do. (pre-2004, "Discovery" era) This relica is a "hybrid" in that it has the revised shape from the band's recent work, but the illumination of the previous version. Before anyone asks: Yes; thats me standing in my bathroom. 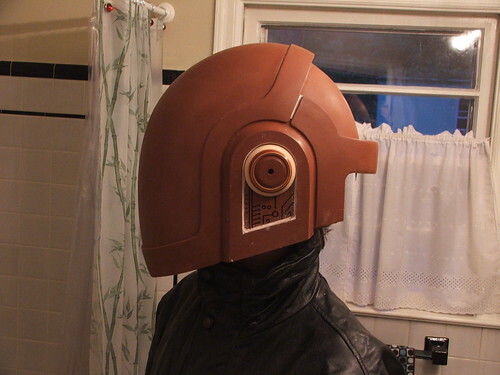 Since this is a clay and bondo sculpt, I can't see anything when wearing the mold master. Thanks go to my fiancee for the camerawork on these. The leather jacket I'm wearing in the shots below is just something I had laying around to help the look a bit for my own reference. Of course, all of these projects (and more!) 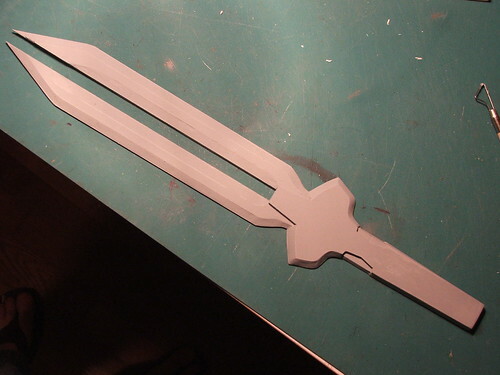 will get full write-ups detailing their build process as they're completed. Look for those to start being posted up in the following weeks.